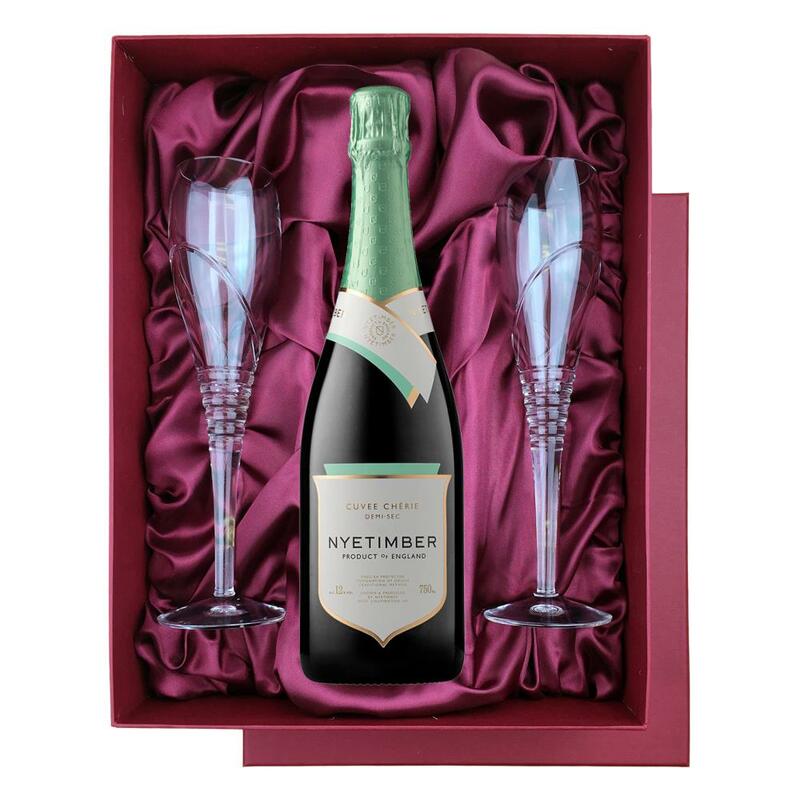 A bottle of Nyetimber Demi-Sec NV English Sparkling Wine Champagne and two beautiful Saturn cut hand made flutes all supplied in a Burgundy luxury presentation box, lined with satin. The UKs first Demi-Sec Sparkling Wine. The wine is made from 100% estate-grown Chardonnay, producing a very pale colour with endearing qualities. Only a few thousand bottles have been produced by the vineyard. Serve with: light meals, smoked salmon and cream cheese or even with a nice slice of cake! This product is hand packed onsite by Gifts International, and is not affiliated with any other brand. Gifts International is responsible for this product combination/set.